Torque Test - AT2E - USA | Quality control apparatus for packaging and beverage, food, pharmaceutical, cosmetic and other industries. 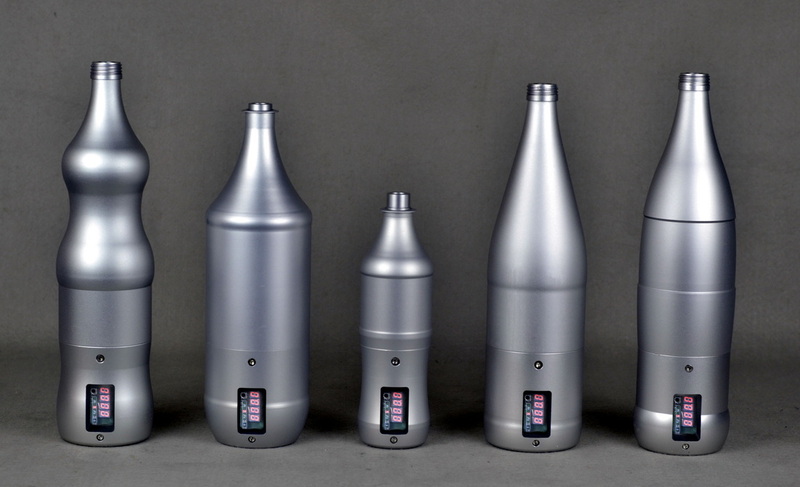 Our bottle cap torque testers are designed with a unique mechanical system for measuring torque, which cancels most non-coaxial and top-load influences on the measurement. These features eliminate operator-induced influences on the measurement for maximum repeatability. 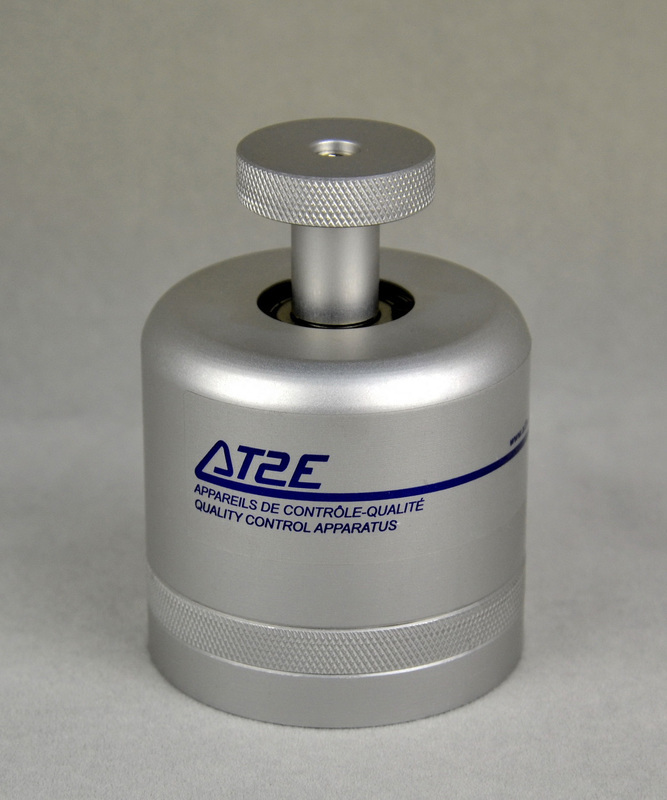 The AT2E ADATMV5-S On line Automated Torque Tester is a quality control system which has been designed for connecting to the production lines to carry out the automatic torque control and provide measure data for instant inspection. 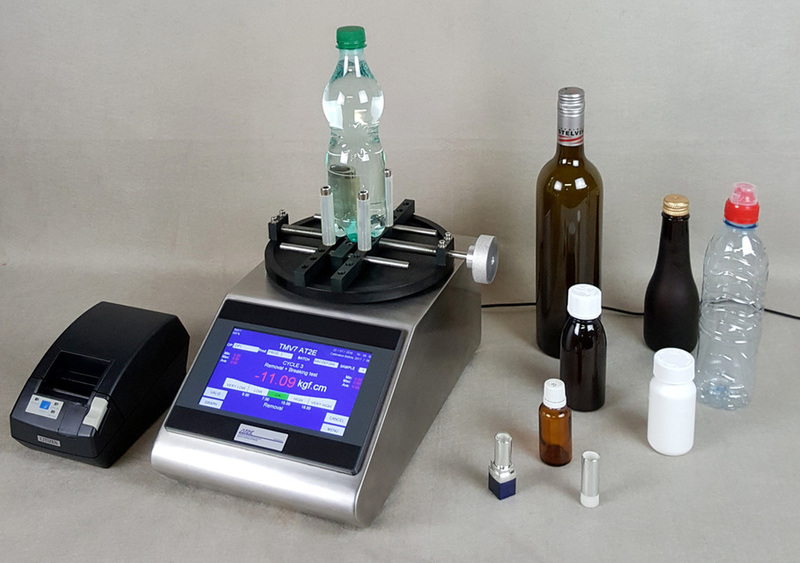 AT2E's most advanced and efficient off-line bottle torque tester. With a sleek touchscreen display for ease of parameter input, the machine eliminates for all operator-induced error in measurement. 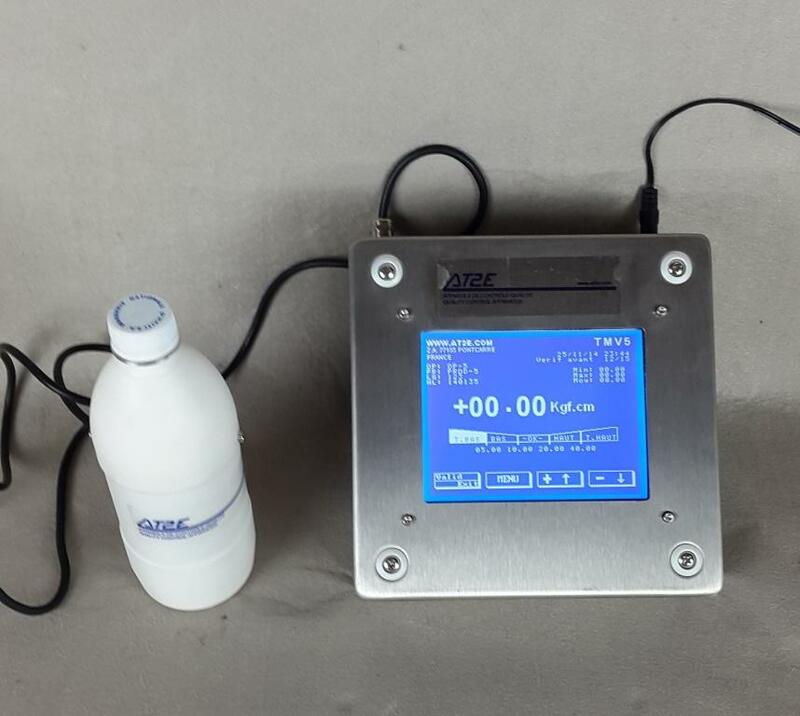 AT2E's most advanced and efficient off-line bottle torque tester that is custom-built for permanent installation on production line, with optional secure seal bubble test unit. ​The new AT2E BT ETA TORQUE ECO has been developed in order to allow operators and calibration team to check in a fast way the accuracy of any torque testers. 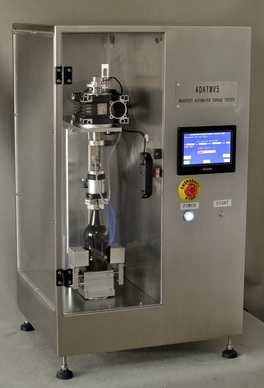 An advanced bottle cap torque tester that functions semi-automatically to take measurements with efficiency and accuracy. The touchscreen display allows the operator to quickly change parameters and offers hands-free operation, unlike a torque wrench, eliminating all operator influence. The TORQUE CHECK has been developed in order to allow operators to control the torque, calibration team to check in fast way the accuracy of any torque testers and maintenance to control and adjust torque directly on capping heads.